Sputtr started in 2007 and comes from Great Britain. 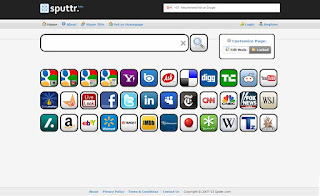 Sputtr is a search interface that uses the Gooogle search. 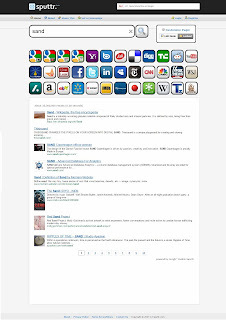 Additional links are offered, which are arranged like a dashboard. For these links a search query leads to the result page of the selected source. Registered users can add their own sources to the personalized home page. - Dashboard search still works, direct search via Google no longer (2019).